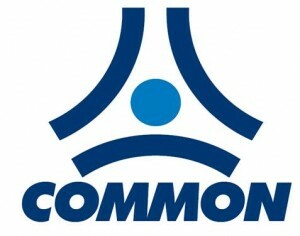 Company “Mergo Serviss” is an official dealer of polish producer COMMON S.R.0. which is producer of the high quality equipment for the technical and commercial accounting of gas. Company “Mergo Serviss” is an official dealer of Czech producer ELGAS S.R.0. which produces the electronic devices used for measurement, processing and data transmission in gas branch. Company “Mergo Serviss” is an official and the only dealer in Latvia that provides equipment of one of the biggest Italian producers CIB UNIGAS. They produce burners for gas and liquid fuels. Company “Mergo Serviss” provides products of one of the biggest Italian producers UNICAL A.G. They specify on production of domestic and industrial water, steam and oil heating boilers. Company “Mergo Serviss” provides products of one of the biggest Italian producers GARIONI NAVAL. They specify on production of domestic and industrial water, steam and oil heating boilers. Company “Mergo Serviss” is one of the partners of German company BOSCH TERMОTECHNIC, which produces the boiler equipment, systems of solar heating and thermal pumps of well-known brands: “BUDERUS” and “JUNKERS”. Company “Mergo Serviss” is one of the partners of largest Germancompany VIESSMANN, which produces domestic and industrial water-heating and steam boilers, systems of solar heating and thermal pumps.